LIFE is better in PINK: The Best Red Velvet Cupcake You Will Ever Make (and eat)! The Best Red Velvet Cupcake You Will Ever Make (and eat)! I love a good dessert (doesn't everyone?)! 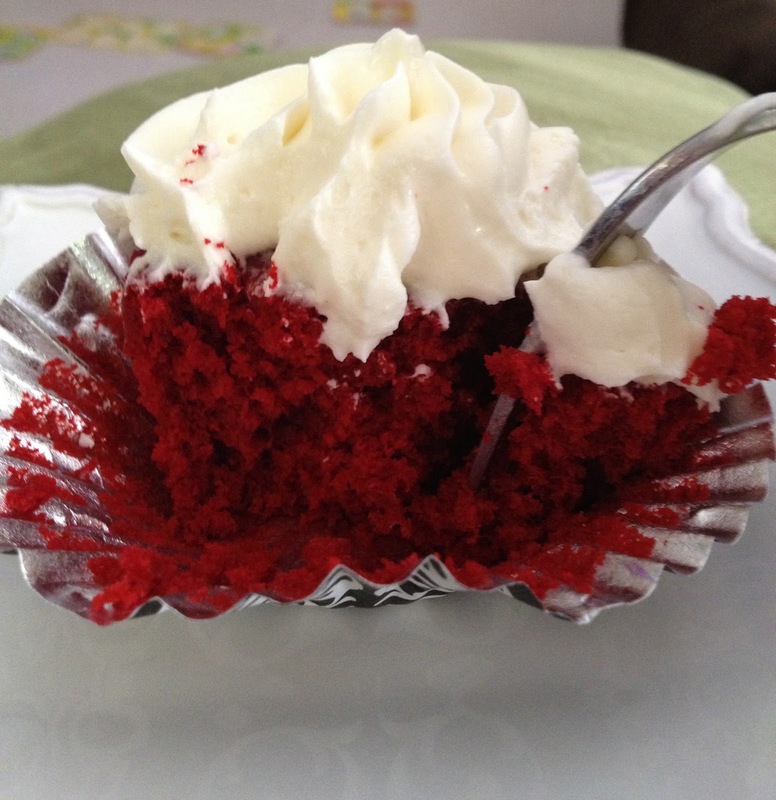 One of my most favorite desserts of all time is Red Velvet! Red Velvet what you may ask. The answer is I don't really care! Cake, cupcakes, brownies...you name it and I like it in the form of Red Velvet! Cupcakes happen to be an all time favorite of mine. I feel like it is such a fun way to give every person you are feeding their own mini cake! 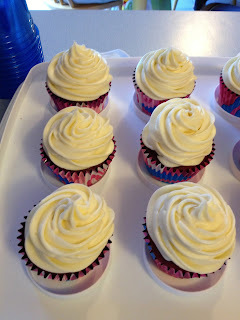 Plus if you make cupcakes the right way, you get a ton of icing (a.k.a. the BEST part of any cake or cupcake)! I have made a few different Red Velvet recipes in my years of baking, and this particular recipe happens to be my favorite! I recently made it for John's birthday back in June and Lacie's birthday last week! They did not disappoint! In a small mixing bowl combine flour and salt (I whisk them together - I actually never sift anything but if you like sifting flour go right ahead). Here we are blowing out the candles on Lacie's Red Velvet Birthday Cupcakes! Make sure that the cupcakes are totally cool and frost them. I like to use a star tip from Michaels Arts and Crafts Store. I put a lot of icing on each cupcake! STORE YOUR ICED CUPCAKES IN THE REFRIGERATOR!!! You will most likely have some left over icing...trust me this is not a bad thing! You can eat it on graham crackers, make up a batch of cinnamon rolls and use it as icing, or just eat with a spoon! You could also cut the icing recipe in half and use less icing on each cupcake, but I don't recommend doing that. Here are the finished cupcakes before I put them on the cupcake stand! See how much icing there is?!? Faith - I am so happy that you enjoyed the cupcakes! They are a favorite of everyone that I have made them for and I have no doubt that they will be a hit at the 40th party!! !